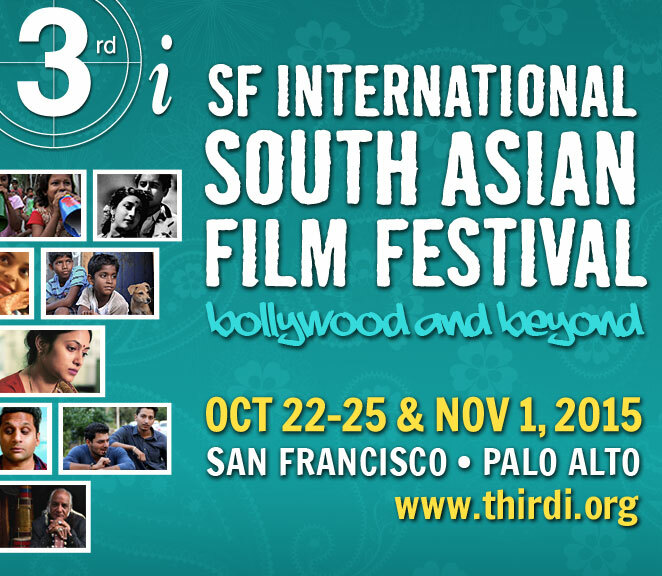 Freedom is the theme for this year’s 3rd i San Francisco International South Asian Film Festival. This year marks the 13th year of the festival that takes place in San Francisco from Oct 22 through Oct 25, 2015 in Palo Alto on Nov 1, 2015. The festival features features, shorts and documentaries from various South Asian countries, UK and the USA. This year the festival has 2 films from Bollywood: PK and Haidar. We spoke with Anuj Vaidya of 3rd i about freedom, which seems to the theme for this year’s festival. The films explore various aspects of freedom ranging from political to sexual to love. Anuj has been involved with 3rd i Film Festival for 9 years. He is an artist, educator and media curator. The opening night film on Oct 22nd is Jai Ho is an intimate portrait of Oscar winner AR Rahman. Dheepan, PK, Labor of Love, Kaakka Muttai, Silence in the Courts, Petals in The Dust, Om Dar Ba Dar are the some of the films you can catch at the festival. For tickets and information about the festival visit 3rd i Film’s website.